Last month, the Georgia Supreme Court, in a unanimous decision, reversed a decision by the Georgia Court of Appeals in favor of Thelma and Sheldon Johnson, the parents of a teenage boy who died two weeks after he was treated by a physician in an Albany, GA emergency room. The reversal by the court now allows the case to proceed to a jury trial. At issue in the case was whether the emergency room doctor, Dr. Price Paul Omondi, acted with “gross negligence,” and if the case should be tried by a jury. By statute in Georgia an ER doctor can only be held liable when it is proven by clear and convincing evidence that his or her actions showed “gross negligence.” Thus, there is a higher evidentiary burden to bringing a successful medical malpractice claim again a doctor in an emergency room setting. The facts of this case involve a 15 year old patient who came to the emergency room complaining of chest pain. Eight days prior to his visit to the ER, the boy had undergone an arthroscopic knee surgery to repair an injury sustained playing high school football. Upon admission to the ER, the doctor noted the prior surgery, ordered that he be administered pain medication, an electrocardiogram (“EKG”), and a chest X-ray; he interpreted the results of the EKG and X-ray himself. The ER doctor diagnosed the teen with pleurisy and discharged him from the hospital with a prescription for an anti-inflammatory pain reliever, and instructions to return to the emergency department if his symptoms continued. Tragically, when the teen returned to the hospital a week later complaining of chest pain and difficulty breathing he died from a bilateral pulmonary embolism. After these events, the Johnsons sued both the hospital and the ER doctor for medical malpractice. They presented affidavits and deposition testimony from two emergency medicine specialists who stated their son’s symptoms and history constituted a “classic” presentation of pulmonary embolism and the doctor failed to order the tests that would have uncovered it. However, the doctor moved for summary judgment, arguing that he was not grossly negligent and therefore could not be held liable, which the trial court granted, despite this expert testimony. 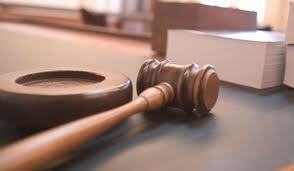 (A judge grants summary judgment when he determines a jury trial is unnecessary because the facts of the case are undisputed and the law falls squarely on the side of one of the parties.) The parents appealed to the Court of Appeals, but the court upheld the ruling stating that for the case to survive summary judgment the parents must demonstrate that a genuine issue of material fact existed not as to whether the doctor exercised ordinary care, but rather, they must show the existence of ‘clear and convincing’ evidence that Omondi did not exercise even slight care. This case serves an example of the fact that lawsuits involving malpractice by emergency room doctors are among the most challenging cases that are pursued by medical malpractice attorneys. Therefore, it is important to retain an attorney who is experienced in medical malpractice cases and who has the financial resources to thoroughly investigate and take such cases to trial, if necessary. If you or a loved one has been injured as a result of medical malpractice, contact the attorneys at Suthers Law Firm at 1-800-320-2384 or go to www.sutherslaw.com for more information.